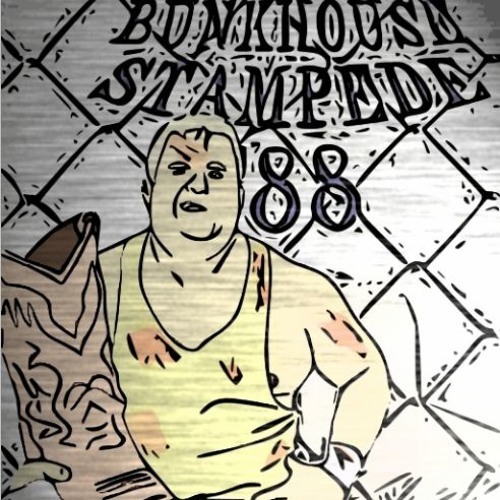 Episode Thirteen - Bunkhouse Stampede 1988 The ppv that is directly responsible for the birth of the Royal Rumble, the BCC boys revisit, review and reimagine Jim Crockett's Bunkhouse Stampede 1988. A one and done ppv concept, a battle royal inside a steel cage, listen as the boys discuss the concept, and its creator, Dusty Rhodes, on an epic ppv review that includes Road Warrior Hawk challenging Ric Flair for the NWA Title. Find out the mishap that caused half the audience to miss the show, and let us recap on of the worst opening matches in PPV history. Road Warrior Hawk.....in a title match.....SOMEBODY BETTER CALL CREATIVE!